“If you saw us in Europe, you may recognize a few bits!,” says the band about the clip, which features footage from the band’s summer European tour, including their set at Belgium’s Graspop Metal Meeting and opening for Iron Maiden. 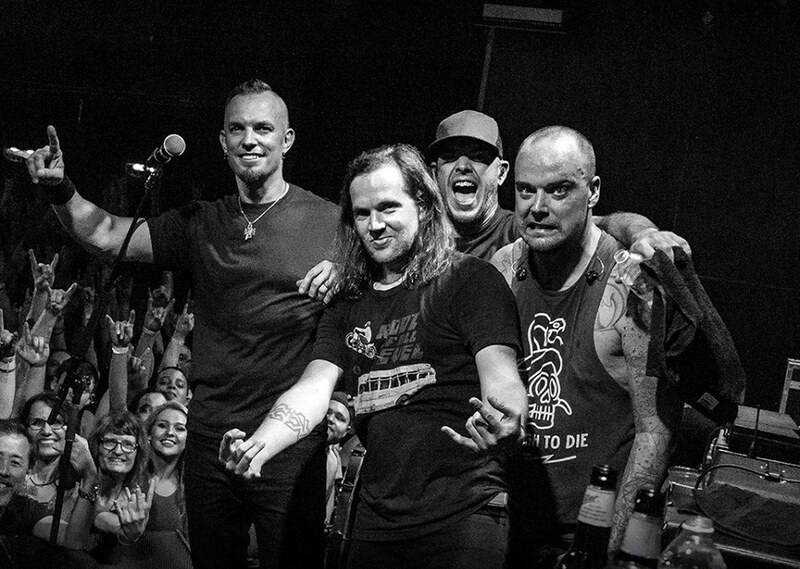 Tremonti’s fourth studio record, “A Dying Machine” is their first concept album, with a story built around the co-existence of humans and fabricated beings at the turn of the next century. Earlier this year, the project peaked at No. 57 on the Billboard 200 while scoring US Top 10 placements on the Top Rock Albums, Top Hard Rock Albums and Independent Albums charts. Currently playing dates on a month-long US tour, Tremonti have just announced a return to Europe and the UK this fall that will open in Lisbon, Portigal on November 4 and include a 5-concert UK trek before it wraps up in Amsterdam on December 10.